Hawaii brothers Mikala (regular-foot) and Daniel (goofy-foot) Jones would be rippers riding lunch trays. 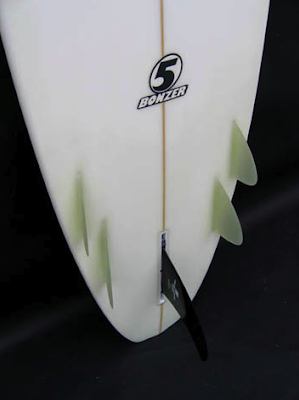 But they're discerning humans: they ride Campbell Brothers Bonzer surfboards. 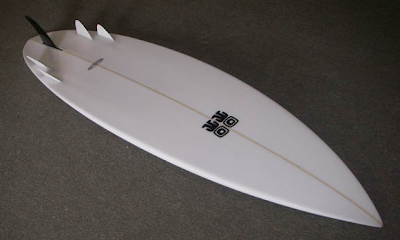 Here they are riding 5-fin models and demonstrating that there is nothing "weird" about blazing speed and radical turns.